Kathleen Winter's luminous debut novel is a deeply affecting portrait of life in an enchanting seaside town and the trials of growing up unique in a restrictive environment. In 1968, into the devastating, spare atmosphere of the remote coastal town of Labrador, Canada, a child is born: a baby who appears to be neither fully boy nor fully girl, but both at once. Only three people are privy to the secret--the baby's parents, Jacinta and Treadway, and a trusted neighbor and midwife, Thomasina. Though Treadway makes the difficult decision to raise the child as a boy named Wayne, the women continue to quietly nurture the boy's female side. And as Wayne grows into adulthood within the hyper-masculine hunting society of his father, his shadow-self, a girl he thinks of as "Annabel," is never entirely extinguished. Kathleen Winter has crafted a literary gem about the urge to unveil mysterious truth in a culture that shuns contradiction, and the body's insistence on coming home. 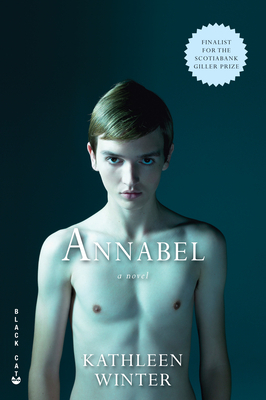 A daringly unusual debut full of unforgettable beauty, Annabel introduces a remarkable new voice to American readers.